St. Patrick’s Day brings with it many different Irish traditions, but one that isn’t all too common and deserves to be is Irish soda bread. 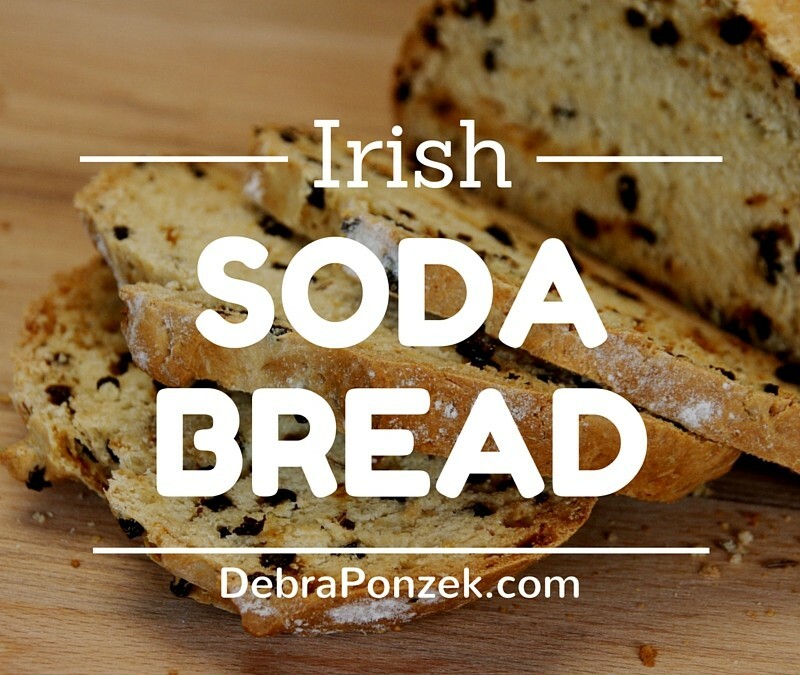 Most bread recipes use yeast in order to rise, but Irish soda bread uses baking soda instead. That’s where we get the name from, the baking soda. 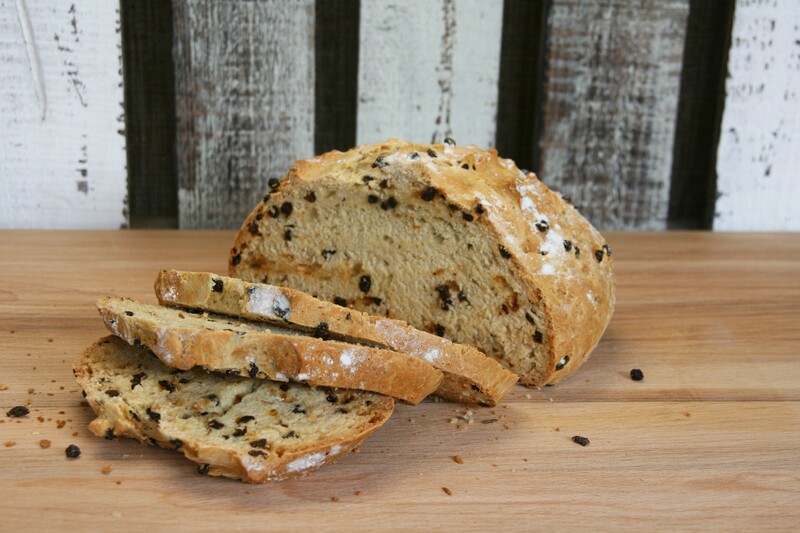 Irish soda bread can be enjoyed in the morning with some butter and jam or it can accompany a bowl of soup. The best part is, Irish soda bread isn’t as hard to make as other bread. In the bowl of an electric mixer with the paddle attachment, combine the flour, baking powder, baking soda and salt. Mix to combine. Add the butter in pieces on medium-low speed until butter becomes incorporated, and the mixture becomes a bit crumbly; about 4-5 minutes. Add the caraway seeds, honey, zest, currants and finally the buttermilk and orange juice and mix until just combined. Do not overmix. Turn out mixture onto a floured board and knead a few times to smooth the mixture into a round loaf. Make a crosshatch design(just breaking the skin of the dough) on top of the loaf and sprinkle with a bit of flour. Bake for 45 minutes, or until loaf is set and sounds hollow when tapped on the bottom. Let the bread cool on a rack. Serve warm or at room temperature. This Irish soda bread will make a great addition to your St. Patrick’s Day, but even further, it would be great any time of year. While you may feel you need to enjoy this with a bowl of corned beef and cabbage soup, but you can try this with a bowl of turkey chili. 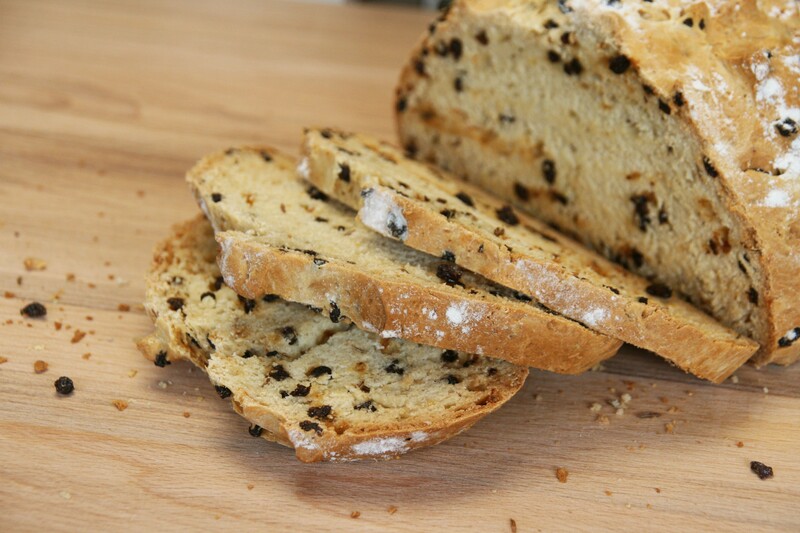 Irish soda bread also makes a great quick snack for your rushed mornings when you don’t have time for pancakes.